Euromoda was opened 25 years ago as one of the largest, most modern and functional fashion centres in Europe. It is particularly defined by the fact that it was designed together with its tenants in a partnership-based cooperation. 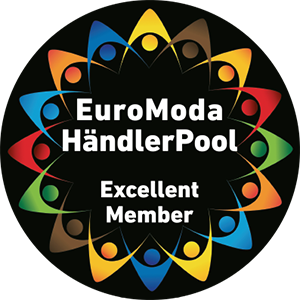 Its location in Greater Dusseldorf/Neuss and wide catchment area means that Euromoda is situated at the centre of one of the regions in Europe with the highest purchasing power. Due to its outstanding infrastructure, high product quality and continuous new ideas, events and offers, Euromoda has been able to retain its position on the market despite all of the noticeable changes in the fashion industry. Experience customised retail infrastructure with over 2,000 covered parking areas and a wide range of service offers. Visit numerous national and international companies from the world of fashion. Come to Euromoda and see for yourself! In future, I would like to be informed about events, promotions and news of the Euromodas via e-mail. This consent can be revoked at any time at the end of each newsletter.